It all starts with domain knowledge, because without that stochastic methods are reduced to the very aimless wandering that is evolution's caricature. 1 So our first step is always to capture what is known about the problem from whatever sources of information are available. This can include interviewing domain experts, studying current and previous approaches, reviewing the literature and, where possible, directly probing or studying whatever system is being optimized. Nicholas Radcliffe, who founded Stochastic Solutions, has worked for many years on the relationship between these three pivotal aspects of search, and has developed, through a series of publications, a solid theory of representation for stochastic search in general, and evolutionary algorithms more particularly, called forma analysis. 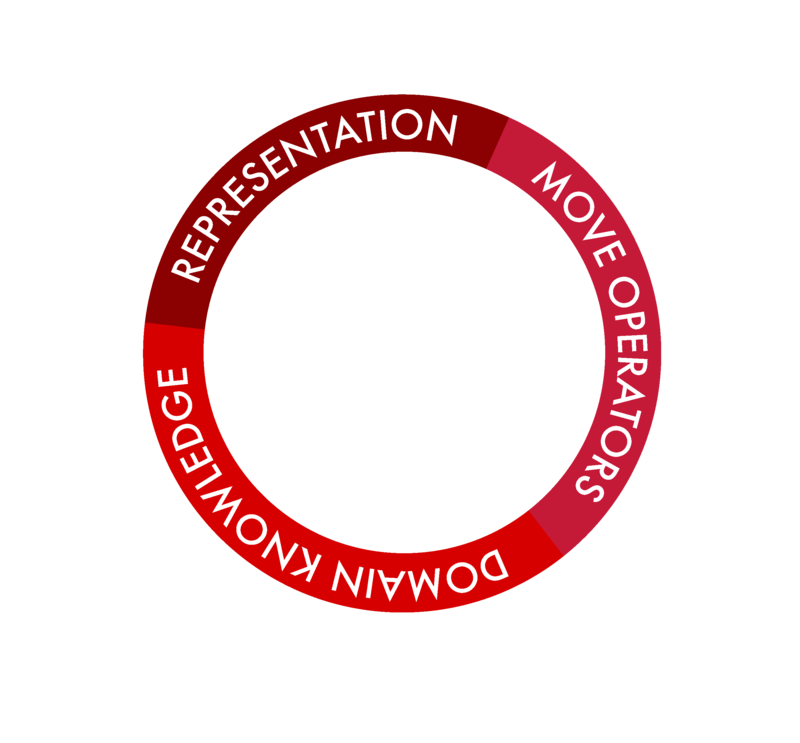 This is an intensely practical theory that helps move from specific insights about a problem, through a systematic process that aids the production of suitable problem representations and move operators. These can then be used directly, or modified further, using heuristic insights, to produce a sound and effective approach to the problem at hand.